In the Blog class, you learn how-to use blogs effectively for business. Did you know that 77% of Internet users follow one or more blogs? If you're not capitalizing on this growing community, the business you represent is missing out on a huge online market. 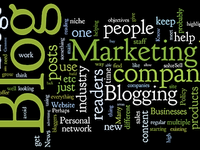 Blogs can attract consumers and leads and should be incorporated into all social media marketing campaign. Further, when used correctly, blogs are an effective communication tool and public relation medium for any organization. Increase followers from social networks like Facebook, LinkedIn and Twitter. To get followers, fans and connections, you need to let them have a reason to keep connected. You will be shown how to develop blog content that can influence them to keep connected in social networks. Learn how a blog can provide any business qualified leads. How blog communication can get you return business from current customers for additional sales. Building a company's reputation to gain trust is essential when marketing online. Learn how to use a blog to let people know what the business can offer them and how they can spread the word around. We eliminate the mystery and demystify the process.